Black Wine (mems. Hunchback, The Ergs!) have announced that they’ll follow 2012’s Hollow Earth with their fourth full length, Yell Boss, on August 12 via Don Giovanni. While their ’80s indie rock influences aren’t lost on first single “Rime,” the vocals are shoutier and it’s a lot more punk than much of their last LP. Check it out below. 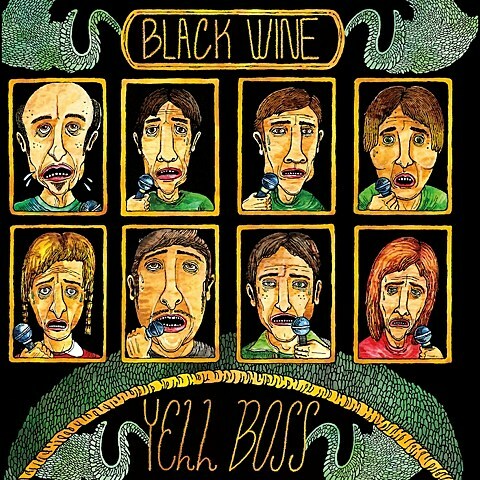 Black Wine will celebrate the new album with a release show in Brooklyn at Death by Audio on August 22. Also on the bill are their Don Giovanni labelmates Brick Mower, as well as The Grand Pantrymen, Sore Saints and comedy by Tim Duffy and Brett Davis. It’s their only announced date at the moment, but Brick Mower also have a NYC show with Crow Bait in August. Speaking of Don Giovanni bands playing Death by Audio, Shellshag added yet another show at the venue which happens August 10 with Parasites, Flamingo Nosebleed, Homewreckers and Giant Peach. That follows this Saturday’s show (7/26) which was supposed to include Swearin’ but they dropped off, but does include Bad Canoes (one of Marissa of Screaming Females’ other bands), Low Fat Getting High and CCTV. In more related news, Shellshag are also playing The Fest in Gainesville, which Crow Bait were recently added to, along with other new additions A Wilhelm Scream, Paul Collins Beat, Thou, Fake Problems and a few more. Full list of additions below. Previously announced names include Descendents, Lifetime, Paint It Black, The Marked Men, Modern Life Is War, Mineral, Hot Water Music, Melvins, United Nations, Screaming Females, Touche Amore, Into It Over It, Circle Takes the Square, 7 Seconds and many, many more. Passes are still available.